The Guyana High Court on Wednesday declared that the executives of the Guyana Cricket Board (GCB) are illegal and cannot hold themselves out to be office bearers or to do anything as it relates to the operations of the Guyana Cricket Board because their last elections were unlawful, illegal, null, void and to no legal effect. The High Court also ruled that the board’s appointment of Stephen Lewis as Cricket Ombudsman was also declared unlawful, null, void and to no legal effect. 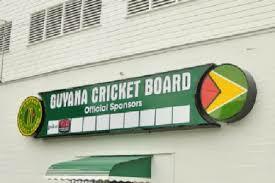 The ruling stems from an action brought by Secretary of the Berbice Cricket Board, Rabindranauth Saywack, who claimed that the GCB was operating in contravention of the Guyana Cricket Administration Act established in 2014. Arudranauth Gossai, the attorney for the plaintiffs, confirmed the ruling to Sportsmax.TV. According to court documents obtained by Sportsmax.TV, under the Guyana Cricket Administration Act (GCAA), two ombudsmen are appointed, the first of which is a Cricket Ombudsman, whose sole responsibility was the verification of the Register of Clubs and performing the function of Returning Officer for the first election of the members of the GCB. The GCB held elections in January 2018 without a Cricket Ombudsman being appointed. The Cricket Ombudsman is to be appointed by Guyana’s Minister of Sport in concert with the president of the West Indies Cricket Board. Lewis was only appointed Cricket Ombudsman on May 3, 2018, four months after the GCB elected its executive committee. In light of the improper appointment, Saywack also claimed that since the commencement of the GCAA in 2014, there has been no election of the GCB and currently there is no validly elected executive committee of the GCB. Mrs. Justice Corbin sided with the plaintiff on the matter and made his ruling accordingly. When contacted for comment on Wednesday evening, Secretary of the Guyana Cricket Board, Anand Sanasie, said he had none. He said he was not in court and had not seen the relevant court documents. He offered to provide a response on Thursday evening.